The concert was so beautiful. It was a gift of love from so many people. The congregation of St. John’s UCC church were so warm and welcoming. Rev. David DeRemer opened the evening with prayer. Then Karla explained the reason behind the concert. Song after song followed. Several of Tonia’s friends joined in the celebration, among them: Trisha Tunison, Christina Ehrets and Karla Dewey. The children’s choir and adult choir sang several song. Highlights of the night included the song: Joy to the World, A Christmas Prayer. I will be posting the song here shortly. Other favorites of mine were: A Grown Up Christmas List, The Christmas Song and the one that made me cry I’ll Be Home for Christmas. So many dear friends joined us for the evening. So many more than we good have ever imagined. There were tears, and smiles and many, many hugs. I have so many wonderful thank you notes to write. This evening was the dream of Karla Dewey. 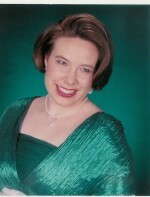 She conceived the idea and went to Susan Frickert who is the choir director of St’ John’s. Together they put together this event. The work that they put into the night was amazing. In the middle of the concert there was a free will offering. Rev. David explained that we had discussed where these funds were to go with the decision being made that they would be split in half between Turning Point and to our new foundation we are forming. We were amazed at the outpouring of generosity. Turning Point is shelter and support provider to victims of Domestic Violence. This organization is one that is very needed and we are in awe of how God worked through this concert to raise awareness and funds. We were truly blessed by the evening. Here are some of my favorite pictures taken by Josh Gabriel. Josh is a friend of Tonia’s and he is a professional photographer who donated his time and talents! Karla did a wonderful job putting on the concert, and it was really nice to see people I haven’t seen for awhile. The concert helped me to remember the good times that Tonia and I had had together growing up… and it also made me realize some things in my life… It brought everything into light with some things that happened in my life. I had a great time! I am still amazed that Tonia is gone. I am trying to understand this. The concert helped me realize what happened. Her family I have alwaysed loved, and have missed. I hope justice will be found.